September 13, 2018 (Tulsa, Okla.) Philbrook presents the original exhibition Amazing! 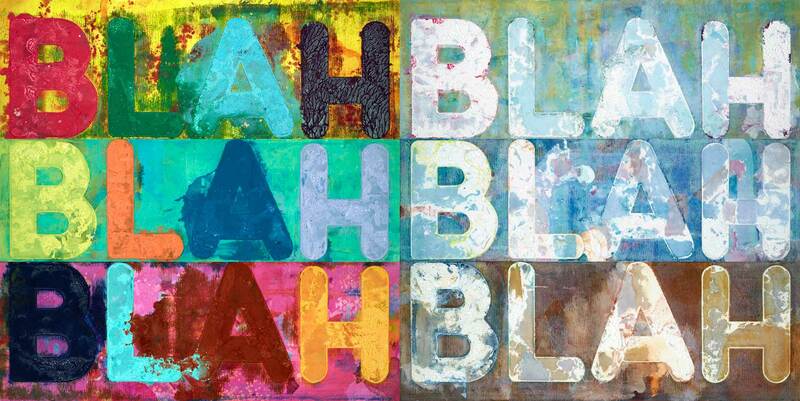 Mel Bochner Prints from the Collections of Jordan D. Schnitzer and His Family Foundation on Sunday, October 14. 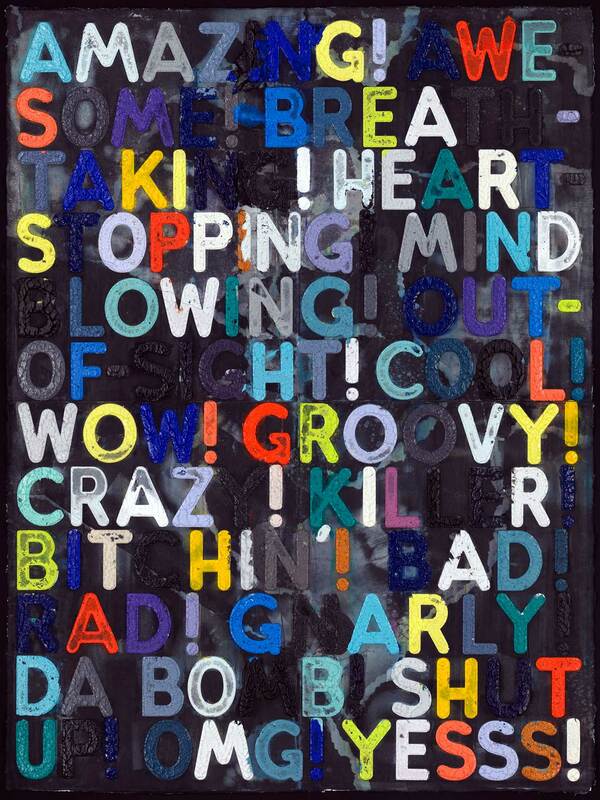 Featuring more than 50 prints by acclaimed American artist and printmaker Mel Bochner, Amazing! showcases Bochner’s abstract and thoughtful work from the late ’60s up to the present day. From minimalist postcards to towering prints of words, Bochner’s work presents a perspective-shifting view of language and meaning. Presented in three sections — Language, Numbers, and Perspective — Amazing! is diverse in scope and scale. These prints show Bochner as a master who continues to push the boundaries of what prints can be. Monoprint with engraving on collaged paper; 94 ¼ x 70 ¾ in. Publisher: Two Palms Press, Inc., New York, NY. Collections of Jordan D. Schnitzer and His Family Foundation. Philbrook is the debut venue for this exhibition, which is curated by Sienna Brown, Nancy E. Meinig Curator of Modern and Contemporary Art. Since the late 1960s, Bochner has employed many different forms of printmaking, using and abusing its material possibilities and its unpredictability to counter the methodical fashion in which plates and stencils are cut, characters per line are fixed, or print runs set. His most sustained engagement with printmaking has been with Two Palms Press where he creates his monumental language based works. “Mel Bochner’s lifetime artistic explorations of language, numbers and perspective reflect the biggest changes in society during the last several decades. His work, his art, demands we deal not only with our thoughts but also with our conversations,” said Jordan D. Schnitzer. “This is our second exhibition at Philbrook and we look forward to continuing our partnership in the future.” Mr. Bochner and Mr. Schnitzer will be in Tulsa the weekend of October 19-21 for several events at the Museum for Philbrook Members and the general public. A fully interactive Print Studio will be present outside the gallery through the run of the exhibition, featuring demonstrations by local artists and printmakers. A beautiful companion catalog with was published by D.A.P. and will be available in the Philbrook Museum Shop. Monoprint with engraving on 6 sheets of collaged paper; 89 ¼ x 179 in. Rooted in the beauty and architecture of an historic home gifted by the Phillips family 75 years ago, Philbrook Museum of Art has grown to become one of the preeminent art museums across the central United States. Highlights of the Museum’s permanent collection include Renaissance and Baroque paintings from the Kress Foundation, one of the greatest surveys of Native American art anywhere, and growing modern and contemporary collections. The Philbrook American art collection includes, among others, works by William Merritt Chase, Alexandre Hogue, and Asher B. Durand. The Philbrook main campus spans 23 acres of grounds and formal gardens, and features an historic home displaying the museum’s permanent collection, as well as an architectural addition with auditorium, restaurant, library, and education studios. The satellite location in downtown Tulsa showcases Philbrook’s modern and contemporary art collections, as well as the Eugene B. Adkins Collection and Study Center of Native American art. At age 14, Jordan D. Schnitzer bought his first work of art from his mother’s Portland, Oregon contemporary art gallery, evolving into a lifelong avocation as collector. He began collecting contemporary prints and multiples in earnest in 1988. Today, the collection exceeds 13,000 works and includes many of today’s most important contemporary artists. It has grown to be one of the country’s largest private print collections. He generously lends work from his collection to qualified institutions. The Foundation has organized over 110 exhibitions and has had art exhibited at over 150 museums. Mr. Schnitzer is also President of Harsch Investment Properties, a privately owned real estate investment company based in Portland, Oregon, owning and managing office, multi-tenant industrial, multi-family and retail properties in six western states. For more information about the Jordan Schnitzer Family Foundation, please visit jordanschnitzer.org. *Quote from Mel Bochner excerpted from a conversation in the official exhibition catalog.